Minecarts have always been clunky, and are very overdue for an overhaul. Above are the minecarts that currently exist in the game. While I am going to propose new minecarts, I first want to make some changes to the current system through which minecarts work. One of the reasons the minecart system has always been clunky is the fact that both players and other minecarts can pass through minecarts. This should be changed to make minecarts easier to manage and more predictable. Minecarts should now be "solid" as boats are; walking into one is akin to walking into a block, and you are able to stand on them. Similar to cauldrons, you can stand inside a minecart. Minecarts should also follow this rule when colliding with one another, meaning two minecarts can't pass through each other. When two minecarts hit each other, they should also not get more reaction momentum than action momentum. At the moment, a slowly moving minecart can make another minecart go very fast with just a small touch. According to the Official Minecraft Wiki, boats have the same speed as minecarts. While boats do have a decent speed for a vehicle that is placed down and used immediately, this speed should not be equivalent to that of a vehicle that requires a preliminarily-built track to work. What I am saying is that minecarts should be faster. Once built up to full speed, minecarts should travel at twice the speed that they currently do. For those who think this would be overpowered: minecarts are already this speed on the Legacy Console Editions. This is obviously much less of a priority than the previously mentioned changes, but I still think it should be implemented. The game actually has support for 3D rails, and there are even resource packs that make this change. So, why not add it to vanilla? This would of course be optional, and could be configured via the setting called, "Rails: Fast/Fancy." Now this is something that is definitely high priority. 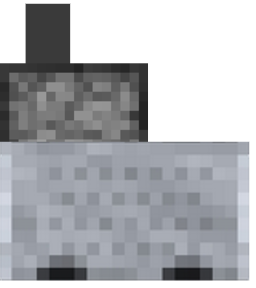 At the moment, these cost one gold ingot per rail excluding the cost of sticks and redstone. This sounds reasonable, but it's still pretty expensive for players who don't have a gold farm. Thus, the output should be changed from 6 powered rails to 8 powered rails. This might be one of the most important changes to minecarts. When they are moving, they should load chunks. This would mean that you can send a minecart off and it would continue moving and loading chunks until it stops. Unlike how players load many chunks surrounding them, a moving minecart would only load 5 chunks at a time: the one it is in, and the four chunks that are directly surrounding them. When a player or mob is hit by a minecart that's moving quickly, it takes damage. The minecart will also slow down slightly. This is one of the most asked for features, and I am sad Mojang still hasn't put it in the game. Minecarts should be able to be connected with leads. Simple as that. These are crafted just how you would expect. Just like actual dispensers and droppers, these minecarts can be placed in any orientation. They have an inventory of 9 slots, and are activated with a powered activator rail. This means that you can link up redstone block minecarts to your minecart train and they will power the powered rails! Just like the normal minecart, it can be ridden by players. However, it requires fuel to move. You can get it to start moving by right-clicking on it with fuel. Each fuel powers the minecart for half as long as the fuel lasts in a furnace. The locomotive starts out very slow, but its speed can be increased by giving it more fuel while it is moving. The maximum speed of the locomotive is 3 times the current maximum speed of minecarts, meaning it would be 1½ times that of the new maximum speed. Locomotives would be balanced because they require a player to keep putting fuel in to ensure the locomotive keeps on going. Also, when a locomotive is traveling at a speed greater than the new max. minecart speed (so more than 75% of its own maximum speed) it explodes when crashing into blocks or other minecarts, and will even derail at turns. Crafted like the following, cow catchers are able to be placed on any minecart (including locomotives, of course) via right-click and do extra damage and knockback to any mobs or players on the tracks. They also prevent minecarts from slowing down from hitting mobs/players. Just copy the image above. I'm somewhat concerned about the increased speed, mainly because going full speed in a boat or Minecart can cause a decent bit of lag, even with a good PC and fast internet. 2x speed seems okay, but 3x with the locomotive seems like too much to me. I think the tradeoff of using fuel instead of powered rails is enough. On the subject of the locomotive, I know real steam trains require water, but adding it as a "usage time" restriction seems kind of pointless, considering water is abundant, infinitely renewable, and extremely easy to obtain. I see it as being a pointless extra step for what should be a simple process. I'm not too concerned with this because elytra already go way faster than minecarts (80 blocks per second). I knew someone would say this, and I honestly can't come up with a reason to have it in there other than for realism (which isn't a very good reason, of course). EDIT: What if you could substitute the water for potions, and the smoke would become similar to the lingering potion cloud, giving passengers or nearby players the effect? Yeah as far as the speed it is a concern, but not a major one. Something that could help in general would be smarter chunk loading at high speeds. As far as I know if you travel in a direction the game will load an entire strip of new chunks when you go in a direction at once. So if your render distance is 9x9, going 1 chunk to the west will try to load all 9 chunks to the west and unload the 9 chunks furthest east at the same time. It would make more sense when at high speeds to prioritize loading chunks you are more likely to be in based on the current direction you are going. But I digress. The potion idea is interesting, but it depends on the AoE range, duration of effect, and how long one potion will dispense from it. The whole suggestion is presented pretty decently, but I'm not a fan of the banner generated by that generic site everyone uses. I know that not everyone can use GIMP to make something original, but I'm just kinda tired of these banners cropping up everywhere. Improved Minecart Physics: No objection here, seems pretty good. I still think players should be able to push Minecarts to an extent, though. I'm not a fan of the un-pushable minecarts in Railcraft. Improved Minecart Speed: Agreed to this also. No objections here. 3D Rails: Not exactly fond of having this on by default. For a block that needs to be placed a lot by a player, that model has a lot of vertices. Fancy models are great for blocks that are only being placed once or twice in a room like a brewing stand or a piece of furniture. For a long train track? I kinda want to save on render time. I'd say this could be an optional thing, but it already exists as an optional thing in the form of a resource pack. Increased Rail Output: No problems here. Plus, eight is more friendly with numbers commonly used in Minecraft. Chunk Loading: This could be problematic on servers with lots of people. I don't like people making gamerules for anything but mapmaking, but it might be nice to have a minecartLoadsChunks gamerule so server owners can control this feature in the event that a griefer tries to launch 20 minecarts down different tracks in order to lag a server. Splat: C1ff did not look both ways. Dispenser Minecarts: Seems like an obvious choice for another Minecart option. I agree with this. Suppose that it takes time to fill up a Locomotive with water, and this process can be automated by building a water tower (A hopper placed underneath one or more filled cauldrons that leads into the rail where a locomotive would be) then maybe this could be improved as a balancing mechanic. Maybe. I'm a little disappointed by the fact that there are only 2 new Minecart types, though. I kinda expected a whole bunch to revamp the whole Minecart-related part of Minecraft, but oh well. Currently the Devs are reported to have 1.14, 1.15, and 1.16 already mapped out. As a "guess", I'd say they are pushing to have the game constants (such as recipes, smelting, advancements, and so on) coded into .JSON allowing players to tune things as they wish rather than having to hack Java for it. I would prefer they stay on their current track with that in mind. It is also reported Mojang will overhaul the Villager System, which really needs some work. Further, Mojang is coding the world generation to be "data driven". I for one would like to see some way to edit .JSON to do in Vanilla what TerrainControl does for Spigot and Forge worlds. Trains would be rather low on my priority list even though I am, in fact, using rail for my Nether Hub. 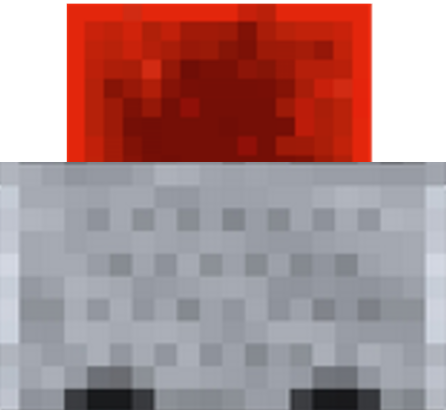 A mod that would simply double minecart speed would be nice if it didn't foul any redstone mechanics, though I would have to be sure of the impact on that. Hell, how about a mod for "If you put your rail over packed ice, double-speed. Put rail over blue ice, 4x speed." I would LOVE a mod like that. As for putting it in Vanilla, I'd rather have Mojang focused on their current direction rather than getting side-tracked. ...As for putting it in Vanilla, I'd rather have Mojang focused on their current direction rather than getting side-tracked. Can we not review suggestions in this way unless the person suggesting the feature decides to put "1.14", "1.15", "1.16" or any other mention of Mojang's development schedule in the title or body? I could use this as an argument on any suggestion, arguing that it's a waste of Mojang's time and they shouldn't get "side-tracked." I think that implementing the tutorial world from the Legacy Console Edition would be a great idea. Basically, with every 1.12 or newer client, a tutorial world would be downloaded along with the version itself. This would be very helpful for oncoming players that need to learn how to play the game. Currently the Devs are reported to have 1.14, 1.15, and 1.16 already mapped out. A tutorial level would be rather low on my priority list. I would prefer they stay on their current track. As for putting it in Vanilla, I'd rather have Mojang focused on their current direction rather than getting side-tracked. Currently the Devs are reported to have 1.14, 1.15, and 1.16 already mapped out. Whalefalls/New Biomes would be rather low on my priority list. I would prefer they stay on their current track. As for putting it in Vanilla, I'd rather have Mojang focused on their current direction rather than getting side-tracked. My priority is on having "hard coded Vanilla game values" put into editable files such as .JSON so people can create things like "1.8 combat in 1.13+", which has been done. I'd prefer to keep seeing them doing that. It sounds to me like a Villager overhaul is in an up and coming version, and I would personally prefer they stick to that plan. I note there is a really sophisticated "Minecraft Trains" mod TrainCraft, it appears to have stopped development at 1.7.10. It looks like https://www.minecraftore.com/traincraft-mod/ is at least up to 1.12.2. I've not really checked it out, but I'd prefer interest in trains go towards supporting active mods that accomplish the desired end without taking Dev time on the Vanilla game. What's wrong with me voicing that opinion? ...but I'd prefer interest in trains go towards supporting active mods that accomplish the desired end without taking Dev time on the Vanilla game. Because you've literally just used the argument "Just use mods", but in a different format. And because you've gleaned and reviewed the title at most. No discussion on the balance, the implementation or any of that. If that wasn't bad enough, the argument you've used could be used on any suggestion at all. 90% of suggestions have mods made for that purpose. To any suggestion you can say: "I'd rather see Mojang implement better mod support so you can have XYZ than spend time developing your feature." To top it all off, this is a thread for voicing opinions about the suggestion itself, and what people have actually taken time to type out and format into a readable post. You've just bluntly ignored that and said how much you think feature XYZ is more important. I'm sorry, but nobody was interested in hearing what you think Mojang's schedule should be. What you've done is the equivalent of me making a detailed suggestion of how the combat system may be improved and you posting a comment about how it would be better for Mojang to add a gamerule to revert the combat back to what it was, ignoring my entire post besides the title. 1. as a former semi-member of the Traincraft team, there is/was a 1.10+ port being worked on - unsure if it is still being worked on. 3. mods don't count as a counter-argument for suggestions - if Mojang didn't do something because it existed in a mod, we wouldn't have horses for example. the physics changes - it would be complex to allow the player to stand in a minecart, while still colliding with the walls. In case you didn't know, all of Minecraft's physics are Axis Aligned - a rotated object will not have a rotated bounding box, as it's not supported and would require a major physics overhaul to be supported. requiring water for the locomotive minecart - it would be an annoying, not purposeful task to have to refill them with water every so often, and most people would probably instead opt for other solutions like booster rails. Either don't require water or increase the amount of time it can run before needing to be refilled, either by reducing water usage or increasing capacity. Thank you. I apologize for using a bad link. I'm not very familiar with the mod, I'm just aware that "train stuff" exists in a Mod format. Looking through the video, that mod appears to be more what I would think of as "Trains in Minecraft." It just seemed a better approach using a Forge Mod or a Spigot Plugin. As I mentioned, I'm currently using a minecart in the Nether Hub. I've considered a Piston Bolt for getting the speed up, but I decided not to bother with it at this time. Minecraft is "blocky" at its core, and that is going to introduce problems with a "Minecart Overhaul" in Vanilla. As minecarts are currently used, it is either for "relatively slow but steady/ simple" transportation such as I'm using, "Capture & release" of villagers and mobs instead of water flows, moving items around in Redstone machines, or the "hopper minecart" for sucking items through solid blocks. If "fast" transportation is going to be needed, it is most likely going to be travel through the Nether. If real speed is desired, it's going to be Piston Bolt, Elytra, or boats over blue ice. I'm not clear how the suggested changes to Vanilla minecarts would get traction compared to the rather "OP" methods already currently in use. Even items flowing over a blue-ice water pipe will work more simply than dealing with loading/ unloading minecarts, even if the minecarts are "linked" like a train. I do think it would be interesting and fun to play with "trains" in the Overworld, but I would want to see something like what the Traincraft team created as a mod I can choose to install, or not. If one is going to go for "Trains in Minecraft because they are beautiful," updating TrainCraft or using some other like mod would bring the beauty of trains without meddling with the current utility value of vanilla minecarts. If one wishes to meddle with the current minecart situation, it will need to be in the context of solving specific issues (item, mob, and player transportation) that are not already being solved with other methods currently in use. This is obviously much less of a priority than the previously mentioned changes, but I still think it should be implemented. The game actually has support for 3D rails, and there are even resource packs that make this change. So, why not add it to vanilla? My guess is lag or doesn't fit Mojang vision of the game currently. Also, 2D textures are more versatile in builds in my opinion. Now this is something that is definitely high priority. At the moment, these cost one gold ingot per rail excluding the cost of sticks and redstone. This sounds reasonable, but it's still pretty expensive for players who don't have a gold farm. Thus, the output should be changed from 6 powered rails to 8 powered rails. Personally, I think the recipe itself should've changed to 4 Golds instead of 6. With the two top Golds recipe being replaced with Iron Ingots. This might be one of the most important changes to minecarts. When they are moving, they should load chunks. This would mean that you can send a minecart off and it would continue moving and loading chunks until it stops. Potential Lag. When a player or mob is hit by a minecart that's moving quickly, it takes damage. The minecart will also slow down slightly. This is fun, instead of the current behavior where the Minecart completely changed it's direction. This is one of the most asked for features, and I am sad Mojang still hasn't put it in the game. Minecarts should be able to be connected with leads. Simple as that. Perhaps a new chain Item. Just like actual dispensers and droppers, these minecarts can be placed in any orientation. They have an inventory of 9 slots, and are activated with a powered activator rail. This can create interesting traps and minigames. Just like the normal minecart, it can be ridden by players. However, it requires water and fuel to move. To fill it with water, simply right-click it with a water bucket. One bucket of water will last 10 minutes of usage for the cart. Now that the locomotive has water in it, you can get it to start moving by right-clicking on it with fuel. Each fuel powers the minecart for half as long as the fuel lasts in a furnace. The locomotive starts out very slow, but its speed can be increased by giving it more fuel while it is moving. The "Filling with water" is just tedious imo. Locomotives would be balanced because they require a player to keep going more than 10 minutes. Also, when a locomotive is traveling at a speed greater than the new max. minecart speed (so more than 75% of its own maximum speed) it explodes when crashing into blocks or other minecarts, and will even derail at turns. Perhaps Locomotive Minecart can be filled with Potions like for example Swiftness Potion can make the Locomotive Minecart to be faster. 1. Rails can be changed between 2D (how they are now) and 3D in video settings. 2. Locomotive minecarts no longer require water. 3. Minecart chunk loading only loads 5 chunks at once per minecart, and can be disabled or enabled using a new gamerule. I'm not the first to use textcraft.net, but I'm certainly not the most recent to use it either. I've been using it because it's really easy to make, in my opinion, good-looking banners and titles. I'll try to find another method or website, though. Did you have any other ideas for new minecarts that fit in with vanilla? I'd be very interested to hear them; more minecarts than the ones I've suggested would be awesome, but I haven't been able to think of any that completely fit in with vanilla. Nothing that I can think of right at the moment. Although, at one point Mojang mentioned Spawner Minecarts and I kinda like that idea, it wouldn't belong in survival however. Off the topic of new carts, linking carts in general with leads has always been a popular suggestion. Minecart with Lava/Water (right click the bucket into Minecart). Releases the fluid once Minecart is broken. I've already put this in the post; I said, "Dispenser & Dropper Minecarts." These are very interesting. And when the lava/water filled minecart is powered with an activator rail, it could bend over to the right and dispense the fluid. I think I'll add these to the post. Thank you for the ideas! 1) The cart needs to very clearly show where the water pours out, possibly with an arrow pointing to the right. 2) The water block should be placed on the block next to the block underneath the rail to avoid water destroying the rail. 3) However, if that block isn't available, the water will pour in the block next to the rail. The cart will more than likely get stuck in the flowing water before it can escape, though. 4) If THAT block is unavailable, the cart will appear to bang against the non-air block (with a sound effect) and bounce back, not dispensing water anywhere. This is a really good idea! I didn't think of this. You're talking about when the water is placed to the right of the cart, correct? When I update the post to include these new minecarts, may I use your algorithm?